If A Guy Stops Working To Travel For A Year, Does He Have To Grow A Beard? Nicole and I were having dinner with our friends in Barcelona four months into our travels when Sarah asked me, "So did you grow a beard when you started travelling?" "No ... honestly, I've tried not to be a travel cliche -- guy stops working and grows a beard." "Ha, well if Shane traveled for a year, I know he would have a mountain man beard." Those words haunted me for the next few weeks. This was my golden beard growing opportunity. And I was blithely squandering it. So the beard started to grow. But then it found its legs. And it grew stronger. 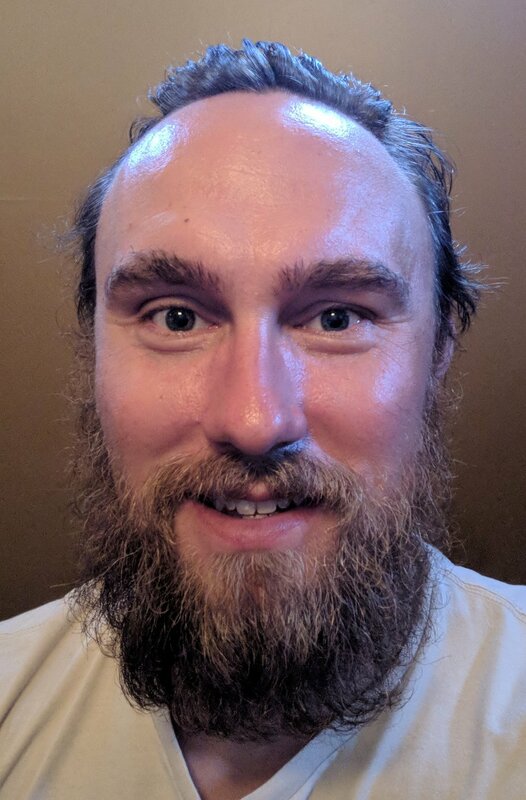 Q: Would you trust this face? A: No. Fast forward to January of this year. Nicole and I were eating breakfast at Huckleberries in Spokane. One of my friends from college happened to be eating there, too. Not recognizing us at first, he was thrown off because Nicole appeared to be dining with a stranger. Oh, wait -- that is Travis. Helluva beard, Travis, helluva beard. Funny things happen when your beard takes on a life of its own. 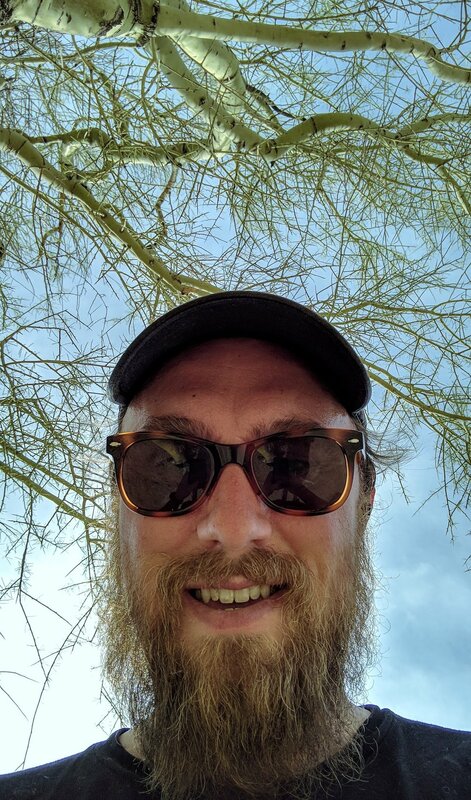 During a recent hike in Scottsdale, a nicely dressed middle-aged man actually stepped off the trail, allowing me to pass, saying, "You're beard is better than mine, you should go first." I believe peak beardliness came in the picture below. Notice the sunlight streaming through the sides of the beard. Gorgeous. But like 90's hip hop, the steaming cup of coffee in front of me, and the Travis McGee series of novels by John D. MacDonald, all good things must come to an end. For every thing turn, turn, turn, there is a season turn, turn, turn. The beard and I had a good run. We made a good team, had some laughs, went on some adventures. But it was time for a trim. Locked in the bathroom of my inlaws home in Scottsdale, I said some words and made my peace. Then I ran the borrowed Wahl clippers over my face. The result is undoubtedly an improvement. But it's certainly not the same. Like this post? Want to read more about Travis and Nicole's travel adventures? Check out Taking Time To Tour Our Own Country -- Starting Our Road Trip In The Great State Of California.